This exhibit is a Parks Canada feature at the Museum. The exhibit covers a 400 year period and traces the development of the Bank Fishery on Canada’s East Coast. The models and displays offer extraordinary detail and are a delight to behold. 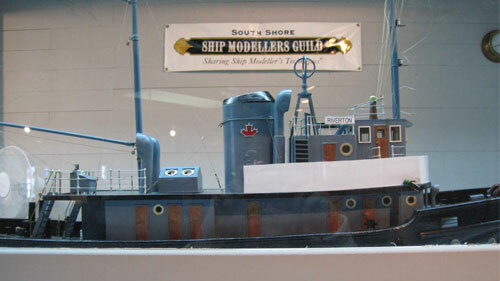 The South Shore Modellers Guild celebrate their 20th anniversary this year and museum visitor regularly are given the opportunity to observe the skilled hands of the Modellers at Ship Model Shop. They volunteer their time throughout the summer months building a variety of vessel styles. This gallery sheds lights on the fact that the good ole days where not all good as it reflects upon the stories of the close calls and the stories of loss. 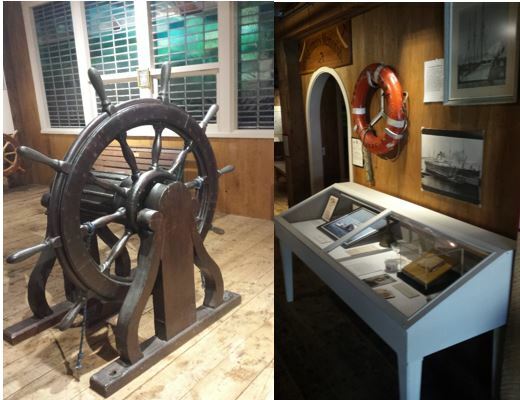 We have a poignant exhibit about the August Gales of 1926 and 1927, when Lunenburg lost at least 138 fishermen and a total of six schooners near Sable Island. 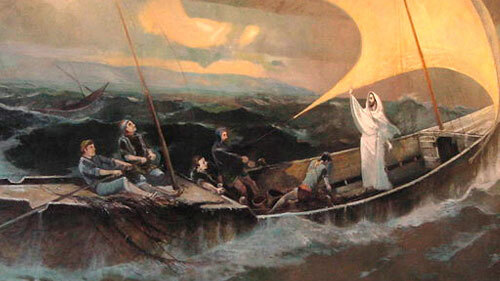 Learn about the relationship between fishermen and wartime. This special room is dedicated to the memory of those lost at sea from the port of Lunenburg. There is a mural, painted by noted marine artist Joseph Purcell, and a list of the known men and vessels lost on the Atlantic. 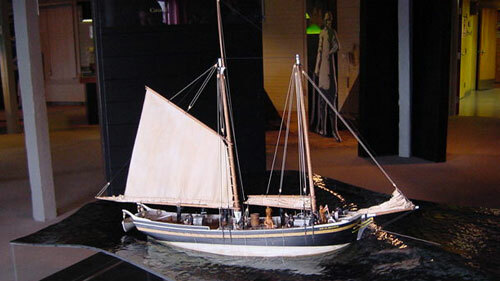 Dories were set out from alternate sides of the vessel (port side, starboard side, etc.). The dory fishermen set their trawls and then went back to the place where the schooner dropped them off. Dories on the port side had their top strakes painted red. Starboard side dories were completely dory buff (yellow) in colour. The schooner “collected” the dories in the same alternate pattern. One red (port), one starboard (yellow) dory. If, in the fog, two yellow or red dories were consecutively picked up, the captain knew that a dory had been missed. They knew that they had to look for the missing dory and knew whether it should be on the port or starboard side.